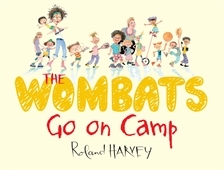 Mrs Nott and Ms Annabel are taking their students (The Wombats) on their first camp ever. 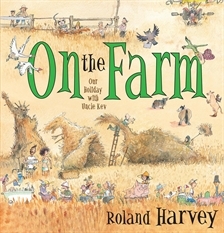 Once they arrive, the kids have fun doing all sorts of activities — like exploring, cooking and performing. Each camper has a page (a bit like a diary entry) where they talk about what’s been happening that day from their point of view. Some kids are loving the camp … but not all of them! 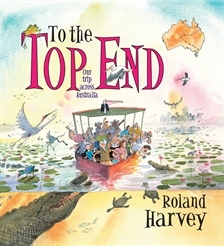 If you are a Roland Harvey fan (is there anyone who isn’t?) 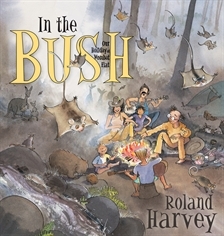 you might have figured out that Everything We Ever Saw is Roland Harvey’s six picture books — about a family’s trips exploring Australia — all together in one book. What a good idea. I love how different each trip is, and yet, they are all trips to different parts of the same country — Australia. I had fun recognising places I’ve been to and poring over all the parts of Australia I haven’t been to yet. 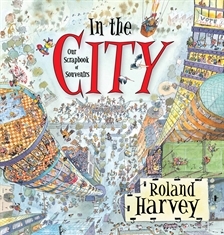 Roland Harvey’s illustrations are hilarious and detailed, and studying each page closely has kept me busy for hours. 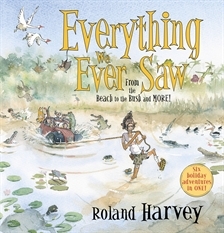 I can’t help thinking that Everything We Ever Saw would make a fantastic gift for overseas friends who are interested in Australia’s landscape, climate, people and creatures. And — you already know how much I love looking at endpapers — this book has great endpapers, too. 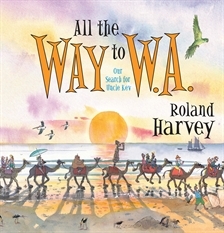 You’ll find a map of Australia showing the sites where the family travelled and the wildlife they spotted on the way. 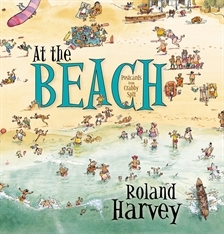 This is a book that will keep you entertained all summer holidays.